I have enjoyed Silver Bridge Coffee since earlier this year. I sampled it at Whole Foods and was smitten. I’m a sucker for a really good flavored coffee. And Silver Bridge has some great ones. Right now I’ve been drinking the Pumpkin Spice. If I’m not careful I can go through a whole carafe. In addition to being passionate about quality and freshness, Lorraine is also a champion of other women-owned and -run businesses. Which is why she stocks several varieties of Cafe Femenino. The Café Femenino Coffee Project is a social program for women coffee producers in rural communities around the world. Additionally, Lorraine charitably donates a portion of her sales from these coffees to support the homeless women and children at Amethyst. Great story, right? I know! And the coffee is really, really tasty. Silver Bridge gift packages would make perfect holiday gifts, 12 ounce packages make great hostess gifts. 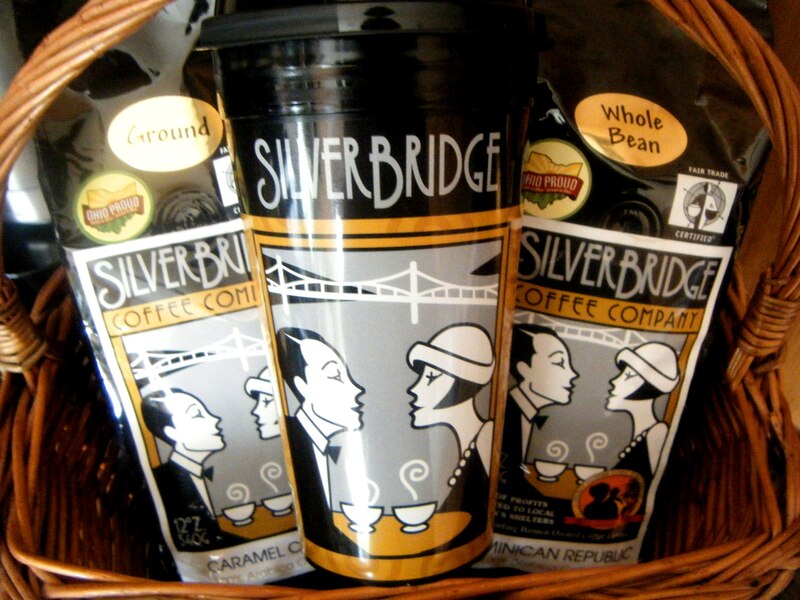 Locals here in Columbus can pick up Silver Bridge at either Whole Foods or the Hills Market. And for non-locals, she has a complete selection online. Today’s giveaway includes a Silver Bridge travel mug, one 12 ounce bag of whole bean Dominican Republic Cafe Femenino, and one 12 ounce bag of ground Caramel Creme. To win, either write in the comments section of this post how you take your coffee, or send me a tweet with the same information. Entries end November 28th at noon EST. Full giveaway rules can be found here. Good luck! We go through olive oil in this house in vast quantities. The Olive Orchard is a local importer of olive oils, famed for their Sicilian EV which is the key ingredient in Jeni’s Olive Oil and Sea Salted Pepitas. I love this set. 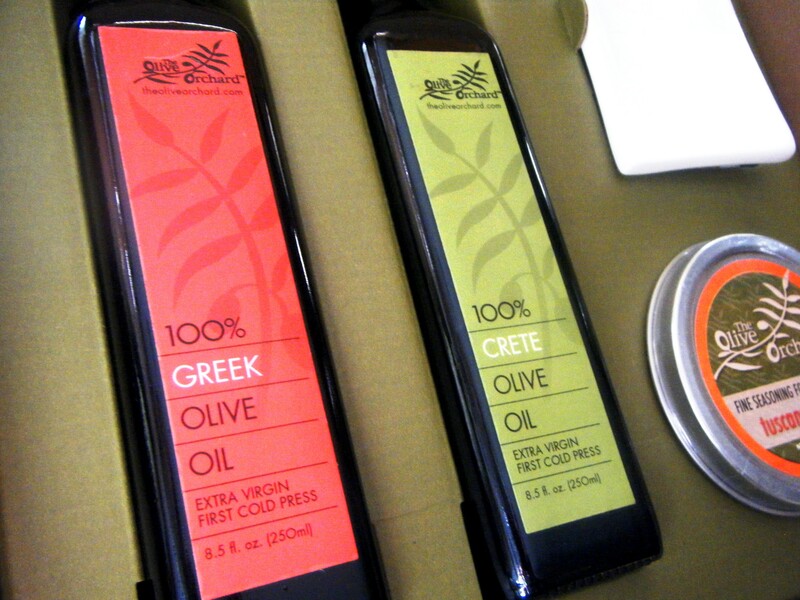 It’s a really perfect gift: two 250 ml bottles of olive oil (one Greek, one Crete), 2 shallow whiteware dipping bowls and a 1.7 oz tin of Tuscany Blend seasonings in a nice box all ready for easy wrapping (or a well placed bow). These can be purchased online and right now you can even get free shipping on purchases over $50 through Monday. To win it, in the comments section of this post, tell me your favorite way to use olive oil. The winner will be randomly chosen using Random.org. You have until November 27th at noon EST to get your responses in. 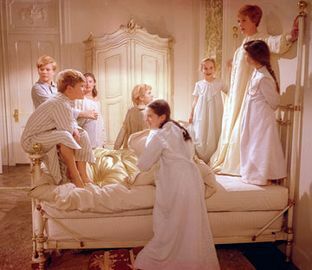 And be sure to follow Persephone’s Kitchen on Twitter to be notified when the next giveaway starts. Full giveaway rules can be found here. Good luck!